Quite a few people who have concern about their weight are trying to lose it. Others, those who are on the other end of the scale, are trying to gain weight and muscle mass. When you are trying to put on weight and muscle, you want to make sure that you are doing it in a healthy way and with the right types of food. Eating junk food simply because it has so many calories is not the right way to do it! Those calories are unhealthy and they aren't going to do anything for those who want to build up their muscle mass. Instead, stick to healthy foods such as the following. Doing so can ensure that you are putting on lean muscle weight and not simply adding fat. The first thing people have to do is consider all of the types of food that they have to avoid. Anything that is high in fat and sugar is a food to avoid. Even though people might gain some weight, it's not going to be lean muscle. Weight gain from unhealthy foods can cause high cholesterol and many other health problems. Fast food is certainly something to avoid whether trying to gain weight or lose it. Cereals are a great way to get energy and to gain weight. However, it's important to have whole grain cereals and not the sugary cereals that popular the aisles of most grocery stores. Fruits, such as bananas, raisins, peaches and apples, are a nice snack to add throughout the day. Dried fruits are another option, but make sure that they don't have any extra sweetening agents in them. Starchy vegetables such as corn, carrots, peas and green beans are other options that you should add to your diet. Beans are a great source of protein as well as carbohydrates. Protein is the building block of muscle, and that means that protein in the form of lean meat should be a major part of your diet. 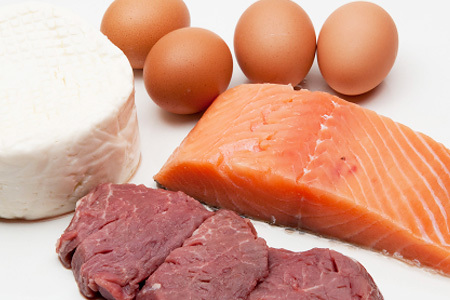 The proteins will repair muscle, replace blood cells and even help your immune systems. Chicken and tuna are great sources of protein. You can also have some red meat in your diet, but you will want to make sure that you choose only lean cuts of the meat for your meals. The leaner it is the better it will be for you. Once a person has the best foods in the kitchen ready to help gain that lean muscle that they desire, they're still only partway to building it. You need to make sure that you have the right exercise and training routines too. Strength training with machines and free weights, coupled with a healthy diet with plenty of protein, is the best way to gain muscle weight. The amount of weight that you gain is going to be proportionate to your caloric intake. However, one shouldn’t be gaining more than one pound per week, as most health professionals consider this unhealthy.